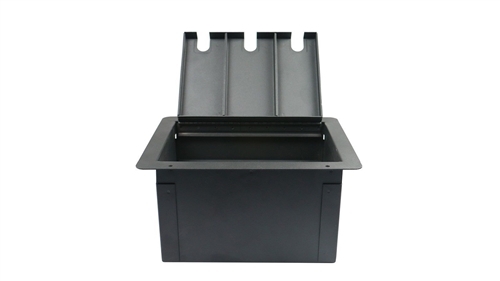 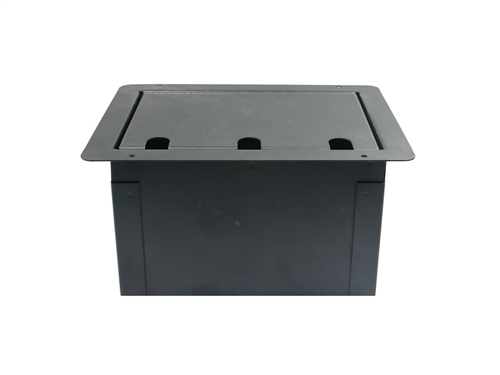 The Elite Core 14 gauge metal floor boxes are matte black finish and perfect for churches, schools, and theaters. 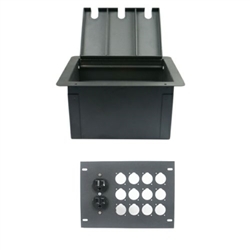 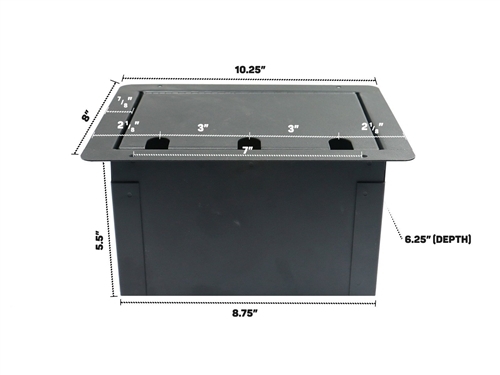 The Floor Box comes with a plate that has a duplex AC Outlet and 12 pre-drilled "D" holes for mounting different types connectors. 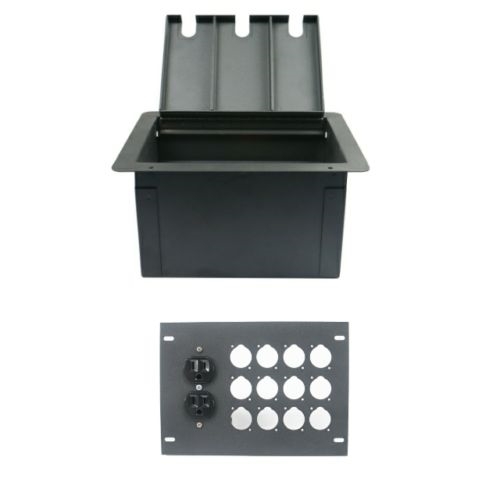 The plate is easy removed with a phillips head screwdriver.